Ready4Uni - use this online orientation to find out about studying, your campus and student life. First year at La Trobe blog - get insider tips so you thrive in your first year at uni. New students - how to accept your offer, enrol, get a study mentor and more. First Six Weeks - learn about the key things you need to do in your first six weeks at uni. Academic skills - learn how to write an essay, plan your workload and make the transition to uni. Exchange and study abroad - take your degree overseas with a semester or year on exchange, or do a short program in your holidays. Volunteering and leadership opportunities - get experience while you study and get credit towards your degree. 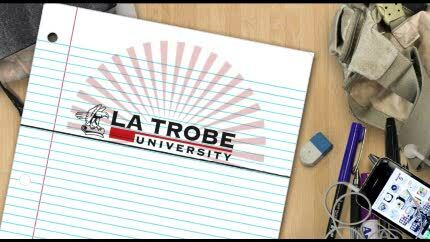 Get La Trobe at your school - get La Trobe academics to your school, or come to La Trobe for hands-on learning. VCE+ for secondary students - start your degree while you are still in school with a subject at La Trobe. Undergraduate essentials - dig into the three essential learning areas of global citizenship, innovation and entrepreneurship and sustainability thinking. Our teaching philosophy - find out how we support student learning, teaching excellence and innovation.